Activists will stage protest outside bank's downtown Portland offices and is calling on supporters to take money out of Chase. 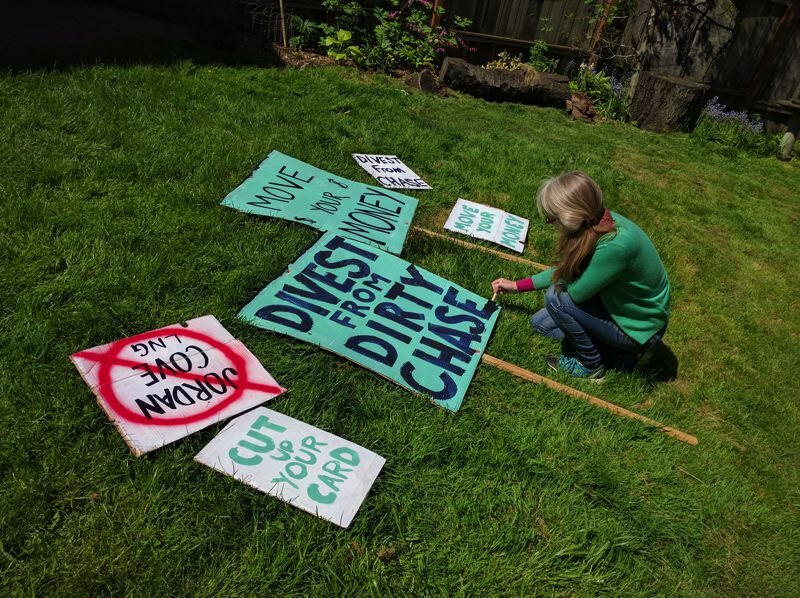 Local climate change activists are mounting a protest campaign against JP Morgan Chase Bank because of its role in financing a proposed Liquefied Natural Gas pipeline serving the planned Jordan Cove LNG terminal in Coos Bay. 350PDX is holding a rally outside the New York-based bank's downtown Portland office at 811 S.W. Sixth Ave., on Monday, May 7, from 11 a.m. to 1 p.m., featuring live music and street theater. The advocacy group also is calling on supporters to pull their money out of Chase because of its role in financing the LNG project and other fossil fuel investments. "JPMorgan Chase is the only U.S. bank funding the proposed fracked gas pipeline to Jordan Cove, Coos Bay OR, carrying very volatile and dirty gas to ship to Asia. It is also funding a new version of Keystone XL pipeline," the group states in a news release.